From a young age, Vimbai Angela Butawu wanted to become a humanitarian, and work towards changing the African societal status. She grew up in a family of 5 raised by a single mother who taught her children to always have a heart to help others. There are certain opportunities I never had access to in school which gave me the drive to work on bridging the gap for young people in vulnerable communities to get access to these opportunities which help them express themselves and explore their talents. 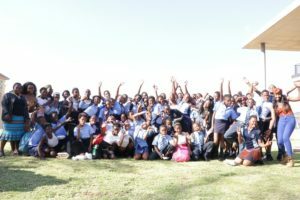 Thusanang organisation is an edutainment focused organisation. We focus on bridging the gap between education, arts and sports for young people in vulnerable communities. We give opportunities for young people to explore their talents and build their self-esteem. No, I did not need any qualification but my experiences at Monash South Africa helped a lot in starting the organisation. I did my studies at Monash South Africa. Did my undergraduate degree in Child and Youth Development, and Criminology. I am currently doing my Postgraduate Degree in Management. My biggest break was being selected as a fellow for the MSA LEAD Fellowship Program. It was a great opportunity for me to learn to become a successful social entrepreneur. Seeing young learners expressing themselves and thinking outside the box. What career path did you follow to get to this point (which other kinds of jobs have you had in the past)? I never really had other jobs that linked to me becoming a social entrepreneur. I have only been a student assistant at my university in different departments. What type of personality would be ideal for this job? Social entrepreneurship needs someone who is very open-minded and ready to learn for the organisation to be successful. For me, I have developed different personality traits that help run the organisation but I would like to believe that my strongest so far that has got me to this stage has been being a “Nurturer.” I have always believed in putting the needs of others before my own needs and working with others as a team. However, I think it is also important to have a balance of personalities amongst your team to be able to see everything with a different perspective which is why I have people with different personalities that I work with. What sort of personal skills are needed for this job? When you were still at school what career did you think you would follow? Does your job require administrative skills? It does as we need to keep up to date with the progress of the organisation. Does your work require managing other people? Yes, it does. We work with young leaners and also volunteers. Does your work require good telephone, writing or presentation skills? Yes, it does. We have to present a lot of proposals to schools, present our ideas and keep in touch with the organisations we work with. Do you work office hours or flexitime? What has been your most difficult job assignment? Setting up meetings with the head of schools. It’s very difficult as they are always busy. 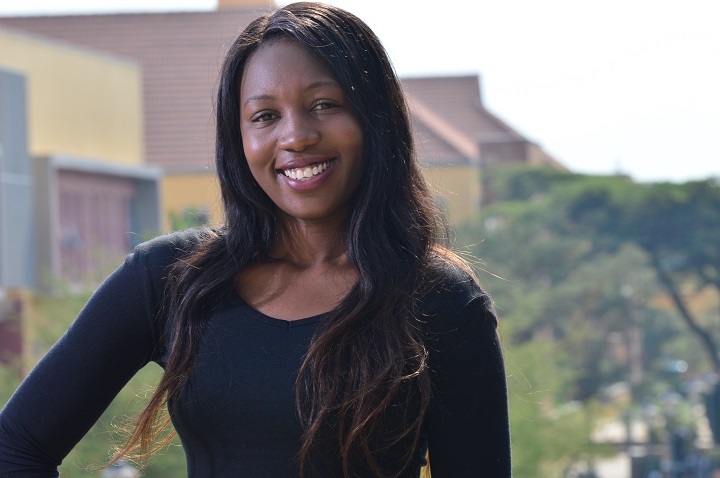 Vimbai Angela Butawu is a Monash South Africa LEAD (Leading Entrepreneurship for African Development) Fellow.